At some point during the senior years, most people require some type of assistance. Whether your loved one needs help cooking or getting dressed in the morning, your family may now be tasked with making big decisions about his or her living situation. As you discuss care options with your parent, consider the following benefits of choosing in-home care over assisted living homes. Older adults often fear the day they are forced to leave the home they have built over many years. After all, there is nothing like living in a comfortable environment to promote greater feelings of wellbeing. If your loved one has always made it clear that he or she prefers to age in place, his or her wishes should be honored for as long as possible. In-home care services make it easier to extend how long your parent can live alone since caregivers can help with many tasks around the house. In Clarksville, home care providers can benefit aging adults in a variety of ways. From cooking nutritious meals to offering timely medication reminders, the dedicated caregivers at Home Care Assistance are available to help your elderly loved one 24 hours a day, 7 days a week. With assisted living, your loved one may be required to pay for services he or she does not need. For instance, there is no reason to have someone handle your loved one’s housekeeping and laundry if he or she enjoys doing it and only needs transportation to the doctor. When you arrange for home care, you can tailor your loved one’s care plan to fit his or her specific needs. The transition to receiving care may be easier since you can slowly add new services as your loved one adjusts to the new arrangements. Moving can be stressful, and too much stress in the senior years can lead to serious issues such as depression or a lowered immune system. Having someone come to your loved one’s current home reduces the stress associated with packing and trying to sell the home. During a tour of an assisted living community, you will be given the opportunity to meet the staff. However, there is no guarantee the people you meet will be the ones tending to your loved one’s needs over a long period. 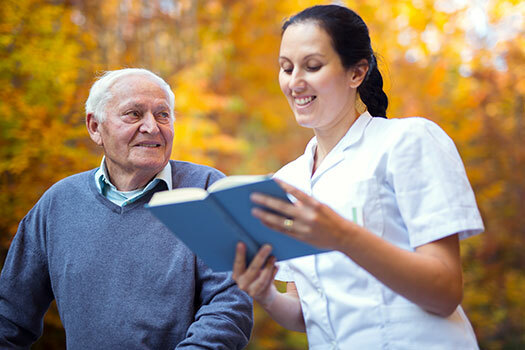 When you choose professional home care services, you can arrange for initial meetings with potential caregivers to make sure they are a good fit for your loved one. Personality matters when people spend many hours together, and your loved one should have a say in who takes care of him or her each day. In Clarksville, TN, home care agencies can be a great boon to seniors. With the help of the caregivers at Home Care Assistance, your aging loved one can lead a happier and healthier life. We offer a revolutionary program called the Balanced Care Method, which encourages seniors to eat nutritious foods, exercise and socialize regularly, and focus on other lifestyle factors that increase life expectancy. Assisted living facilities must meet the needs of a wide range of people, and they may have set visiting hours. If you work nights or weekends, this could severely impact your relationship with your loved one. By helping your loved one remain at home, you can drop in for a chat anytime you want. For many seniors in Clarksville, TN, live-in care is an essential component of aging in place safely and comfortably. However, it’s important for them to have caregivers they can trust and rely on. At Home Care Assistance, we extensively screen all of our live-in and 24-hour caregivers and only hire those who have experience in the senior home care industry. Our strict requirements ensure seniors can remain in the comfort of home with a reduced risk of injury or serious illness. To create a comprehensive in-home care plan for your loved one, call us at (931) 444-1950 today.